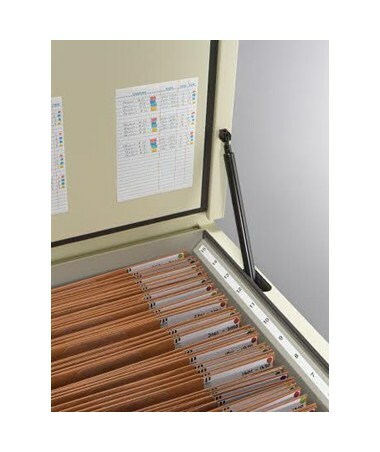 With a unique filing system, the Ulrich Fire Resistant High-Density Vertical Planfile is a perfect registry for maps, blueprints, and other large documents that need a safe and secure storage. It comes with 60 tough folders that can efficiently handle up to 3,600 active or 6,000 inactive files. Plus, it features 15 internal pockets and a unique compression system that holds the documents in place. 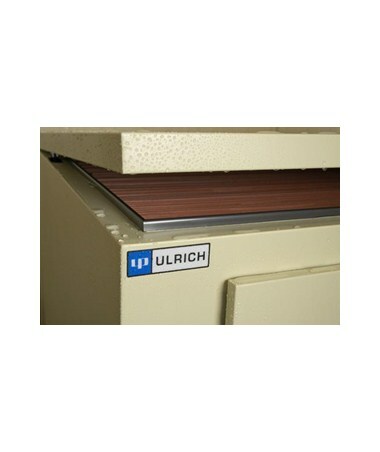 For convenience, this Ulrich planfile features a vertical filing that eliminates awkward removal and re-filing of files. 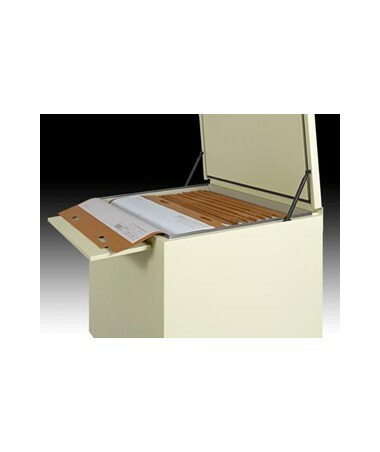 Designed for maximum durability, its folder hand holes are Mylar-reinforced that can withstand a 350-pound pull. 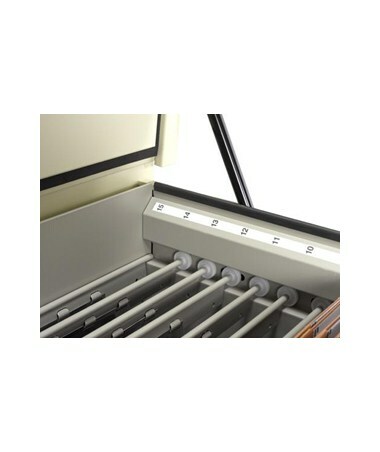 Also, each folder includes a 7.5-inch reinforced folder hem that promotes better control and makes re-filing easier. 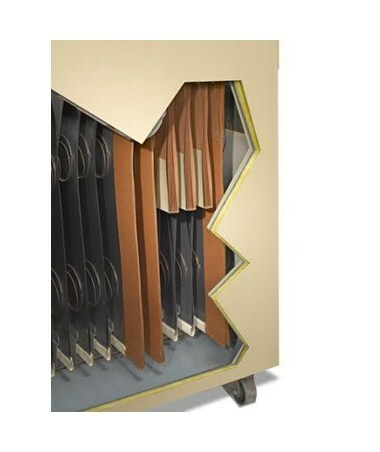 This high-density planfile is made of a double wall steel construction with fire resistant insulation system that can withstand up to 288 degrees Celsius for at least one hour. Also, the water apron and lap joint construction design provide water resistance. Also, it includes two gas cylinders situated on both sides for easy opening and closing. 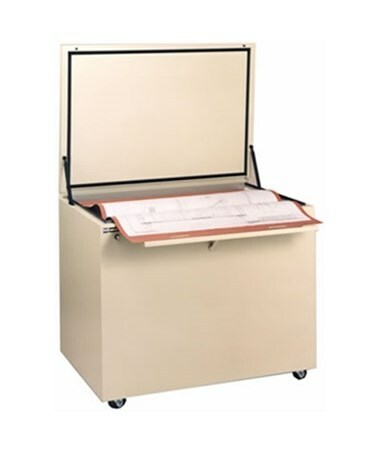 As an additional feature, this planfile is rigged with sturdy, full swivel ball bearing casters that provide mobility. 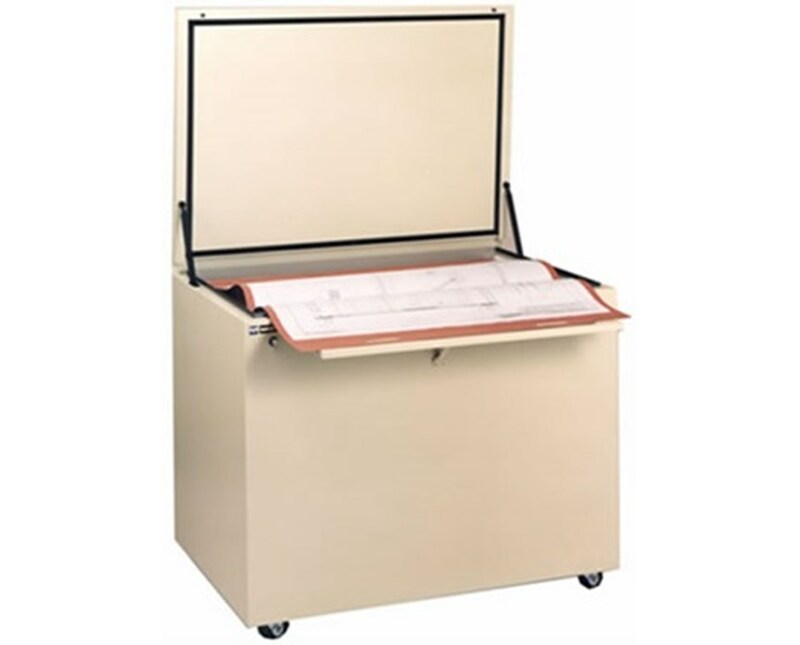 The Ulrich Fire Resistant High-Density Vertical Planfile offers four sheet sizes. All are supported by a three-year limited warranty. Please choose from the drop-down menu above.